Police said the driver of the hearse, which was not carrying a casket at the time, lost control and struck a pole. The driver was taken to a hospital where he was pronunced dead. WASHINGTON — The driver of a hearse who died after crashing into a concrete median in Camp Springs, Maryland, has been identified. 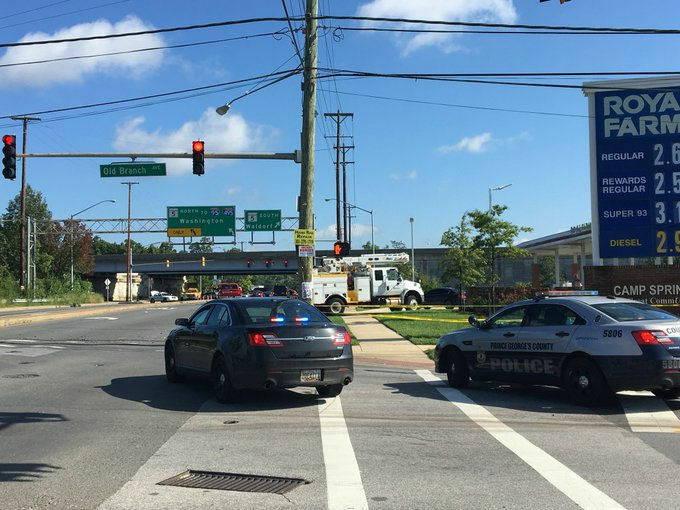 Prince George’s County police identified the driver as 79-year-old Louis Rogers Sr. of Fort Washington, Maryland. Police said the hearse lost control and crashed into a pole near the intersection of Old Branch Avenue and Allentown Road. Officers were called to the scene at about 9:30 a.m. Wednesday. The driver was taken to a hospital where he was pronounced dead. The hearse was not carrying a casket at the time of the crash. Police said the entire intersection was expected to be closed for several hours as police investigate.